These smart and practical kids swim bags are also indestructible! The fabric is firm, sturdy and robust, made from acrylic fibers to withstand a tough summer of love. The fabric is also water resistant so water actually beads and rolls off. 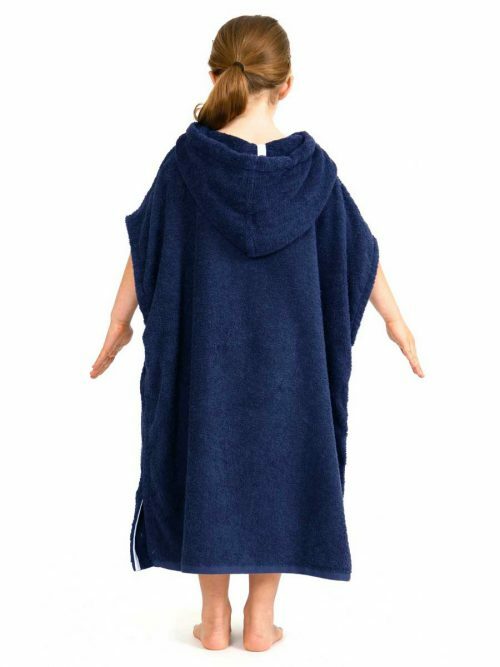 Even better it is mildew & rot resistant, treated specifically for wet towels and swimmers. Last but not least the fabric is also UV treated to withstand the baking Australian summer year in, year out. What makes all of this special however is that even with all these features is still feels lovely and soft to the touch. 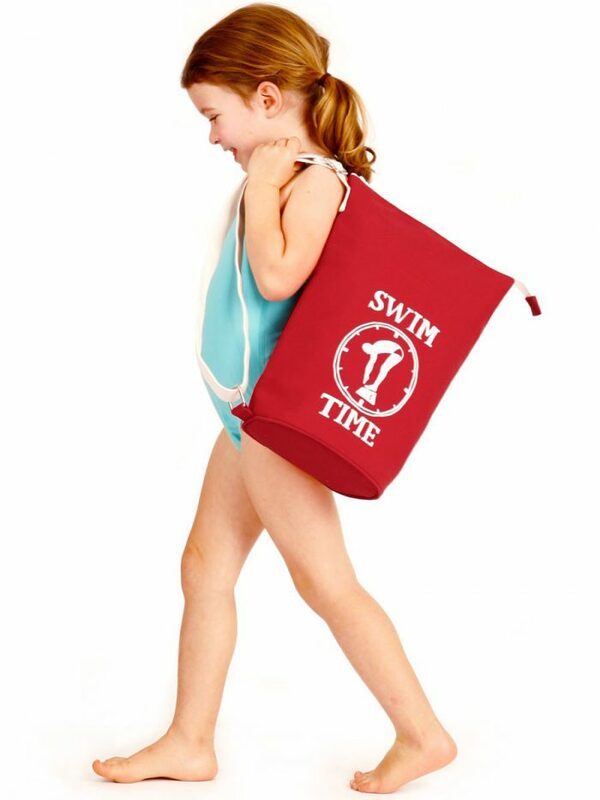 This Swim Bag comes in a lovely deep red with a white graphic print. Swim bag design features include an adjustable over the shoulder strap, reinforced binds and stitches for strength and durability and a secure internal zip pocket for coins, keys and other valuables. Proudly made in Australia. 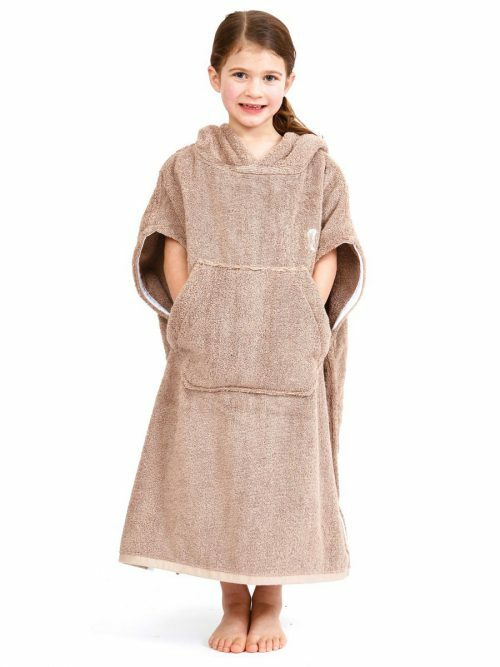 The fabric is also water resistant so water actually beads and rolls off. 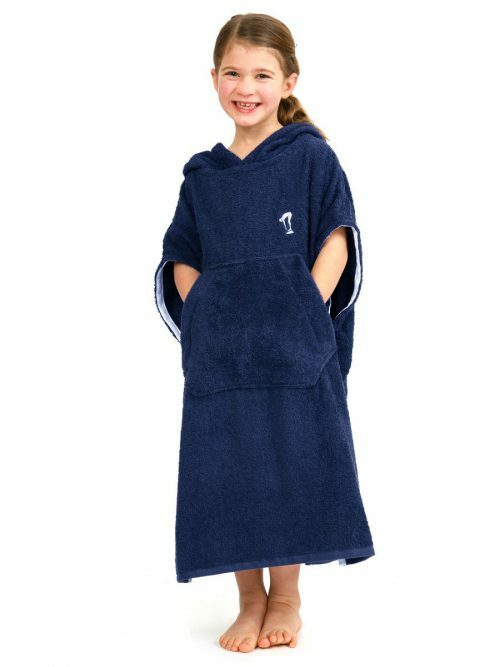 Even better it is mildew & rot resistant, treated specifically for wet towels and swimmers. Last but not least the fabric is also UV treated to withstand the baking Australian summer year in, year out. What makes all of this special however is that even with all these features is still feels lovely and soft to the touch. This Swim Bag comes in a lovely deep red with a white graphic print. Swim bag design features include an adjustable over the shoulder strap, reinforced binds and stitches for strength and durability and a secure internal zip pocket for coins, keys and other valuables. Size is 30cm wide x 40cm high x 25cm deep (approx 12wide x 16high x 10inch deep). 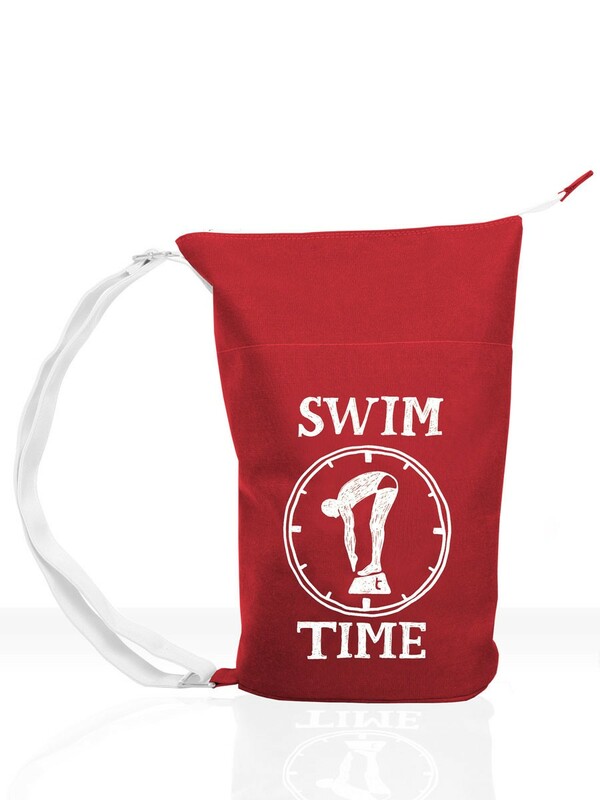 Swim Bags are proudly designed, printed and made in Australia.